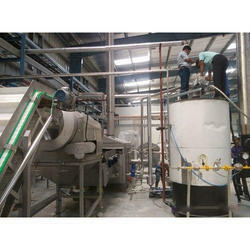 STP, ETP, WTP plant Upgradation, services etc. With a varied range of environmental technologies, Himenviro can provide plant upgrades to meet the most stringent emissions legislation. We can supply products from individual components to complete turnkey and partnering packages. Water Treatment Plant Upgradation Service is provided by us to patrons according to their requirements. Being a frontrunner in the industry, we are involved in providing our customers highly qualitative Water Treatment Plant Upgradation Service. These provided services are offered in agreement with the defined guidelines to preserve our standing in the industry. To add, the employees rendering these services are appointed after stern analysis of their skills and experience. We are into installation, operations and maintenance services of Water Treatment Plant(WTP), Pipe Line Lane, Pipe Line MS, Hume, HTP, PVC, DI, CI and many more. These services are highly acclaimed by our clients for their effective treatment, reliability, operational efficiency, high performance life and many other features. 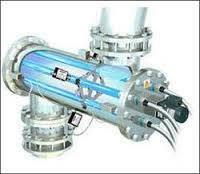 We are engaged in providing water treatment plant upgradation Service to our clients. Our staff of engineers can assist you in evaluating your problems and recommending solutions as per the issue. With the help of advanced techniques, we can easily upgrade small as well as water plant with ease.